A large cutoff low is positioned over the central Mediterranean, bringing unsettled weather to the region. Intense rainfall and locally severe thunderstorms are expected in parts of Greece over the next several days. 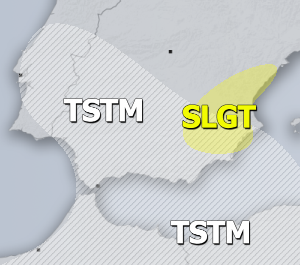 A strong and nearly stationary convergence zone is expected to establish across the northern Aegean sea, extending to the coast of (eastern) Thessaly and eastern parts of Central Greece. Expect training storms to develop along the convergence, producing persistent torrential rainfall along the coastal area, where additional orographic forcing will further enhance the intense rainfall. Expect 24 hour totals to locally exceed 200 mm, with some models suggesting over 300 mm. Such totals will lead into locally intense flash flooding. Moderate instability will be present across most of the Aegean region today. Up to 1500 J/kg MLCAPE will build up, overlapping with strongly sheared environment. 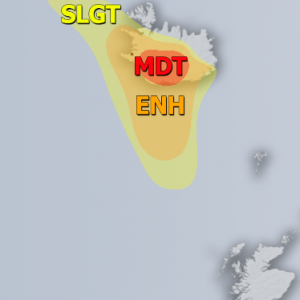 Thunderstorms forming in this region will have a good potential to become severe, with threats for torrential rainfall, marginally large to large hail and severe straight line winds. Enhanced potential for waterspouts is expected along the surface convergence zone in the northern Aegean. Expect waterspouts with training storms along the convergence. Additionally, enhanced threat for waterspouts is expected over the southern Aegean and to a lesser extent over the central Aegean. Further intense rainfall is likely on Wednesday through Friday in eastern parts of Greece, where enhanced threat for flooding is expected. Stay tuned for further updates and follow us on Facebook and Twitter!